It’s not so bad being single. Charlize Theron walked out of the Jimmy Kimmel show on Hollywood Boulevard, looking carefree with the one man she can depend on – her little boy Jackson. She didn’t even notice Superman behind her, trying in vain to get her attention. SOFIA VERGARA: HOW HAPPY CAN YOU GET? Has anyone EVER looked more delighted to receive a star on the Hollywood Walk of Fame? Sofia Vergara can’t contain her joy. 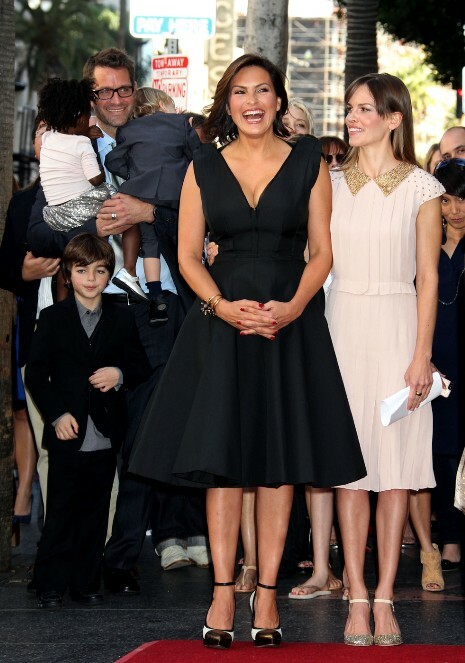 Her Modern Family costars were there for the ceremony – as well as her own family, including fiancée Joe Manganiello. Mercifully absent was her vindictive former fiancée Nick Loeb who might have ruined the event if he’d shown up waving a test tube. It’s always nice to see someone who really DESERVES it, get a star on the Walk of Fame. 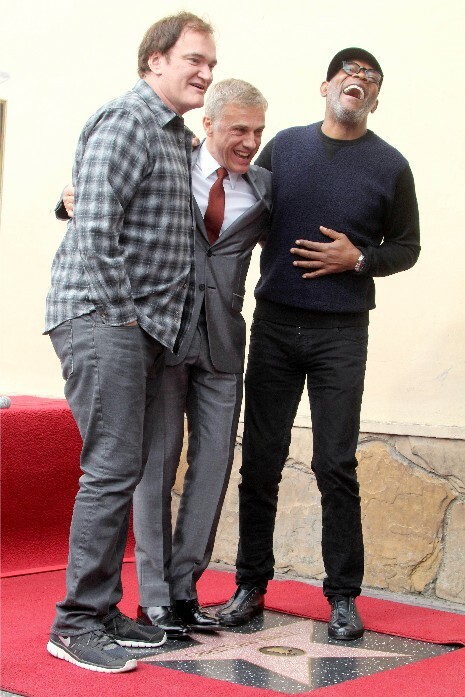 Austrian actor Christoph Waltz was “discovered” by Quentin Tarantino (above left) and received an Oscar for his memorable role in “Inglourious Basterds.” His “Django Unchained” costar Samuel L. Jackson (above right) also showed his support at the ceremony. 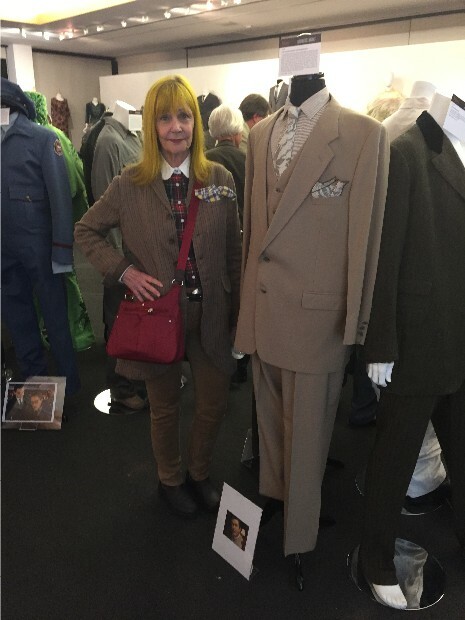 You can next see Christoph in “Big Eyes” which is coming out at Christmas. Looks like Dave is a better guitar player than he is a real estate investor. 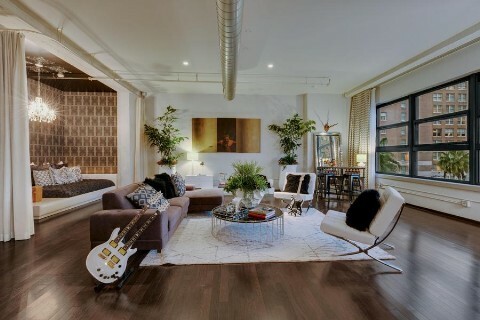 He recently put his 1570 sq ft heavily decorated Hollywood and Vine loft on sale for $899,000. Perhaps the best feature is the view of the Capitol Records building. The doorman building was a converted department store built in the 1920’s. Dave had the large space custom built and decorated to his taste. Furniture, including his white patent leather upholstered bed is available for purchase. He bought the bare bones place back in 2007 for 1.4 million so it’s quite a bargain. Keep in mind it’s walking distance to hot clubs and restaurants on Hollywood Boulevard. 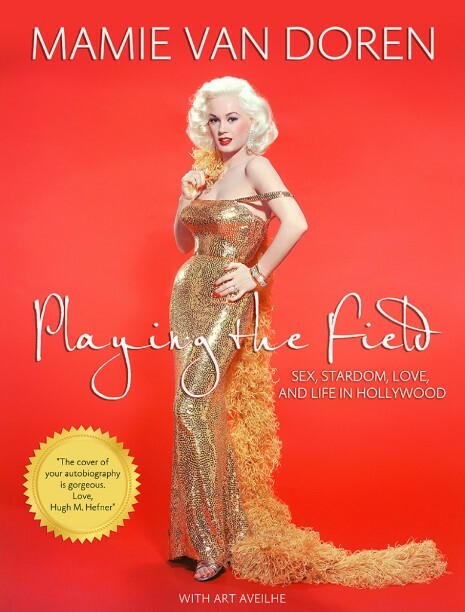 This is the perfect book to read on vacation at the beach if you love Hollywood: Mamie Van Doren’s “Playing the Field.” She was kind enough to send us a copy and we couldn’t put it down! Gorgeous Mamie was one of the triumvirate of platinum blonde glamour girls that ruled the silver screen in the 50’s and 60’s in Hollywood. Mamie was friendly with her “competition” Marilyn Monroe and Jayne Mansfield, but she was the only bombshell to survive in the long run. We loved her “bad girl” movies like “Untamed Youth” And “Running Wild.” Mamie’s adventures in Hollywood and encounters with guys like Tony Curtis, Elvis Presley, Rock Hudson, Nicky Hilton, Steve Cochran, and assorted athletes, are detailed and fascinating. She recalls exciting evenings nightclubbing at Ciro’s and twisting at the Whiskey a Go Go. This woman lived through it all and doesn’t hesitate to share. Thanks, Mamie. Teen vixen Courtney Stodden is disappointed that her new DD implants aren’t getting her enough attention. Not ONE magazine cover! So she and her husband Doug Hutchison took a walk on Hollywood Boulevard, hoping to cause a stir. Unfortunately, girls that look like Courtney are not so uncommon on Hollywood Blvd so she might have gotten more attention in Beverly Hills, if you know what we mean. AT LAST! 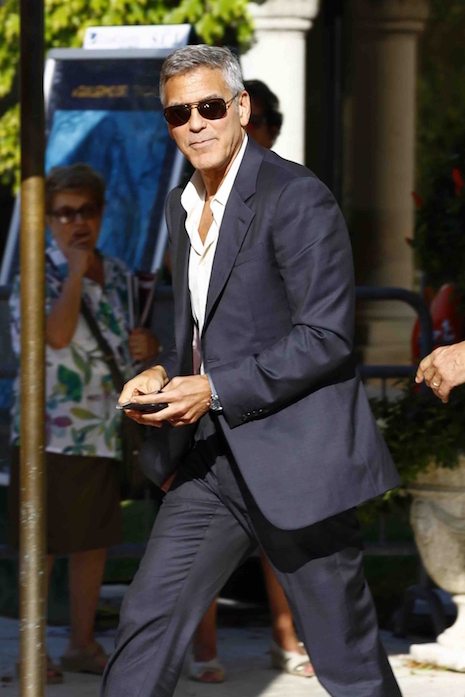 SOMEONE WHO DESERVES TO BE ON THE HOLLYWOOD WALK OF FAME!